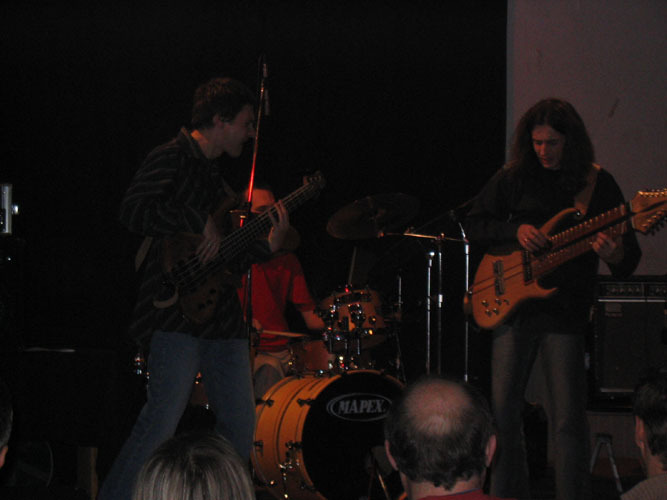 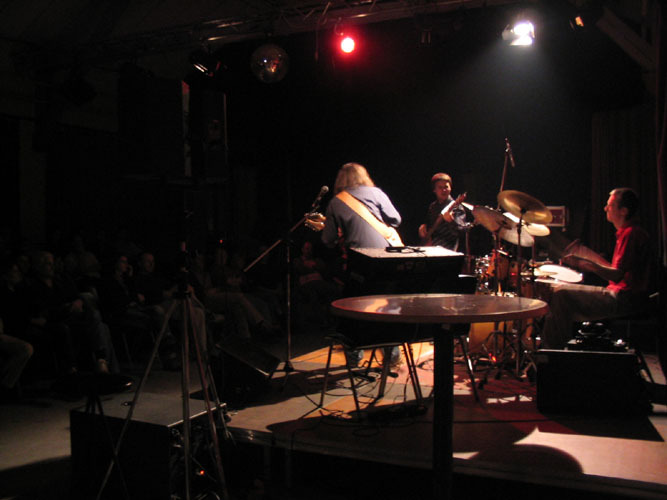 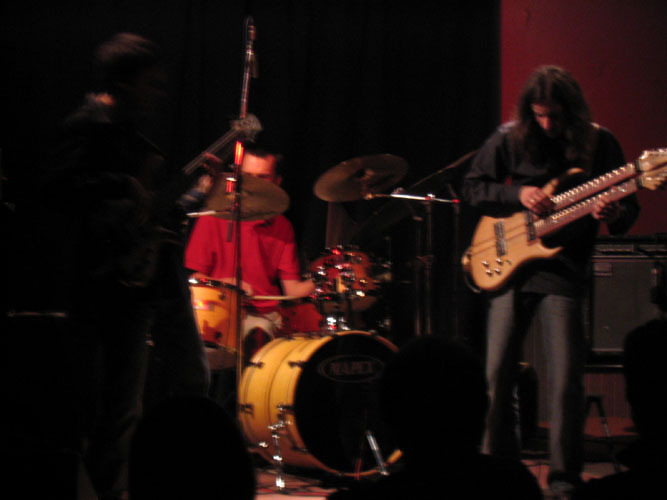 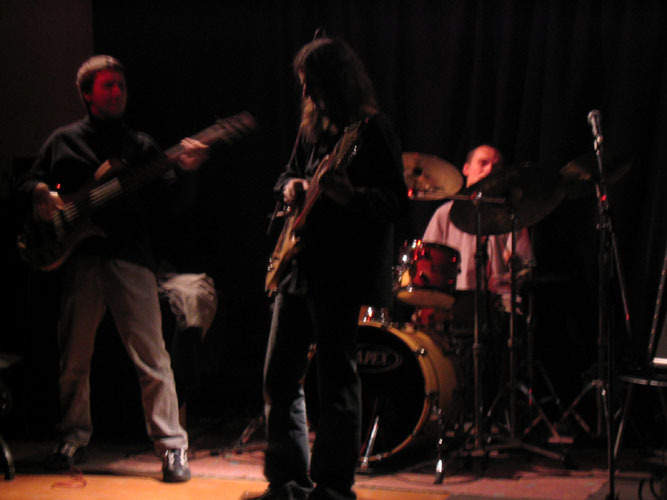 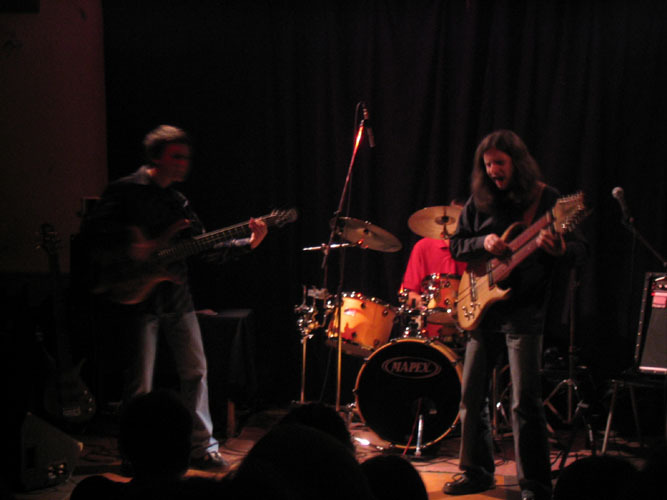 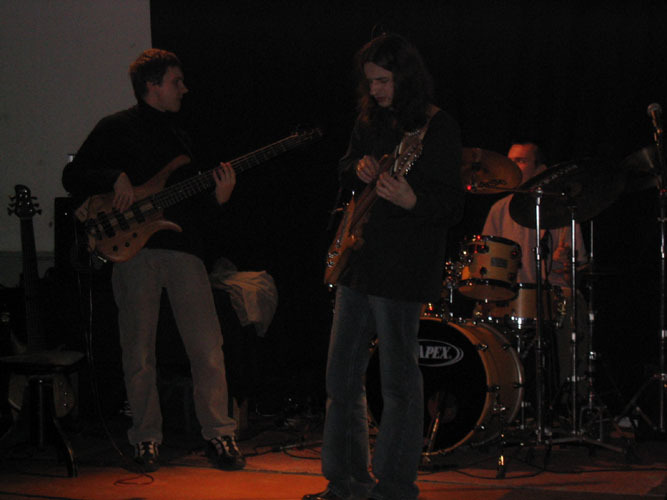 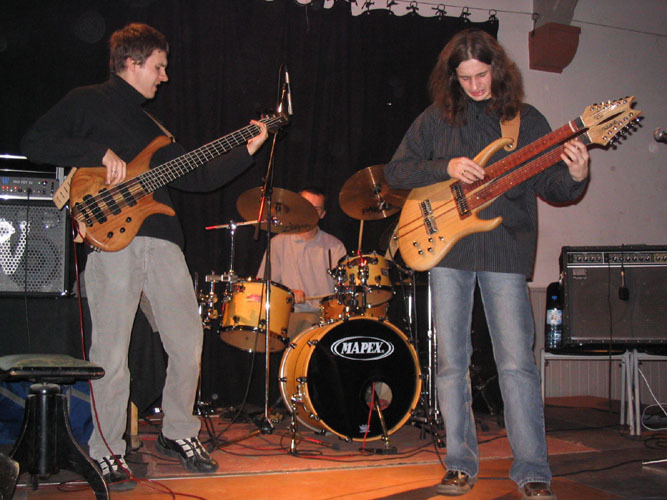 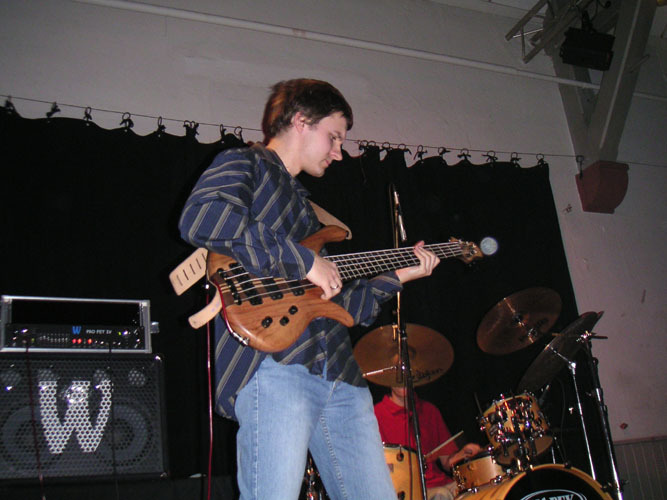 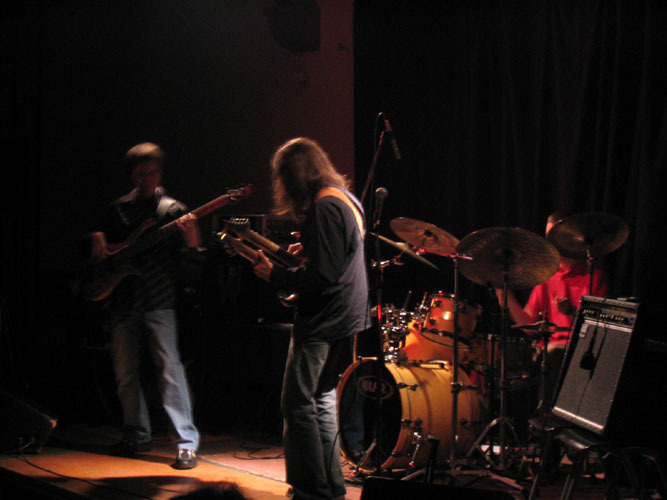 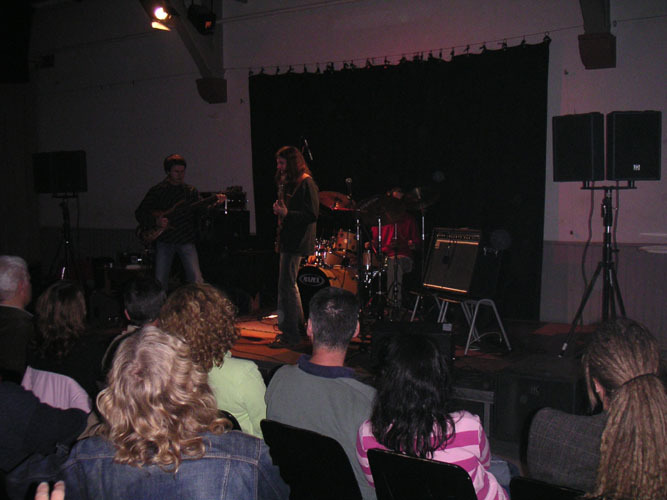 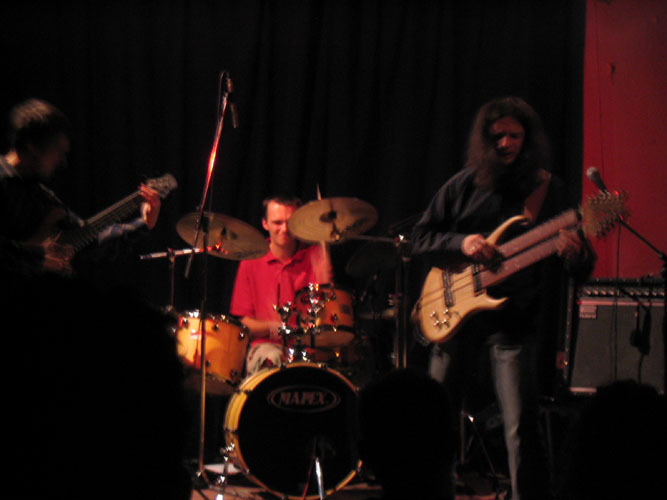 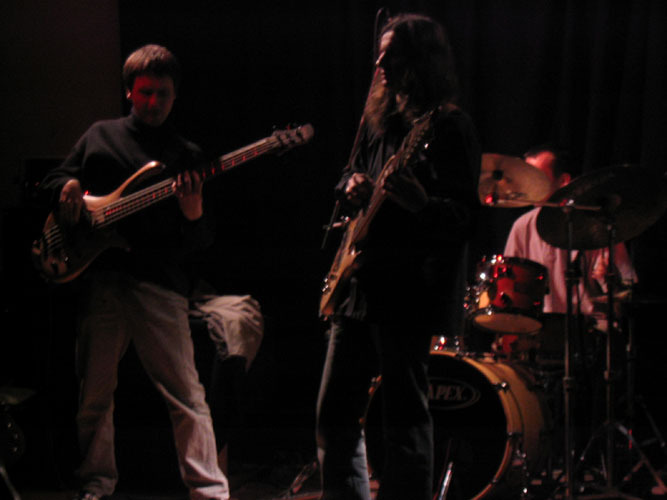 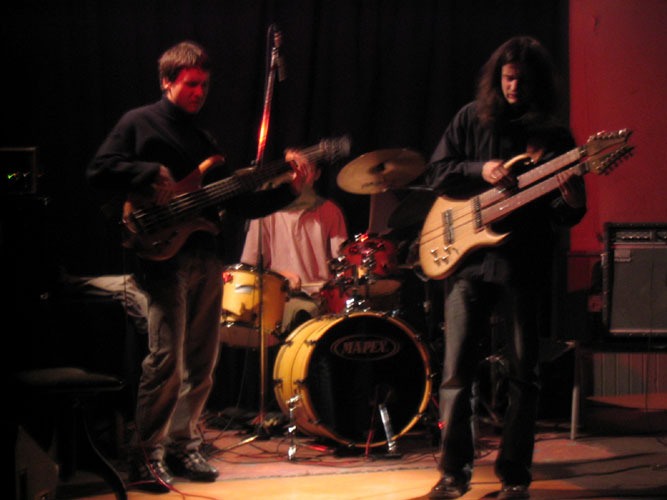 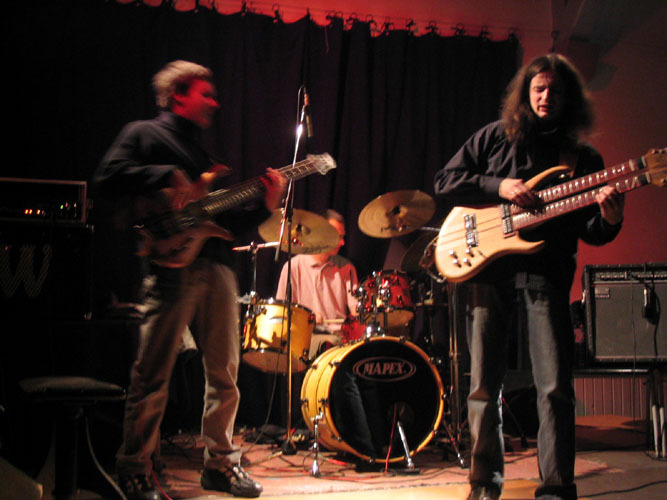 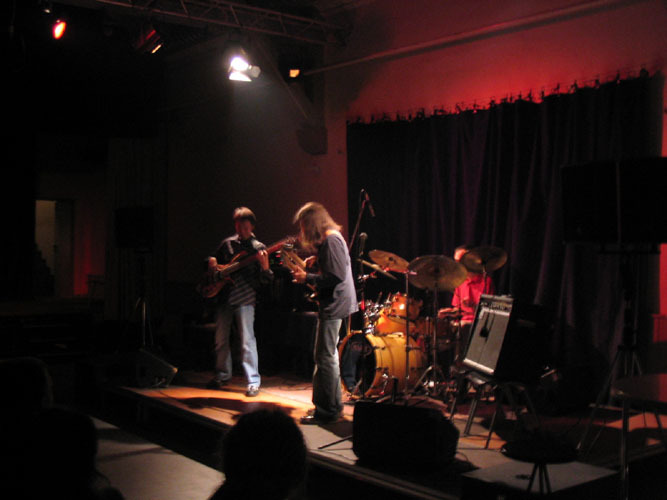 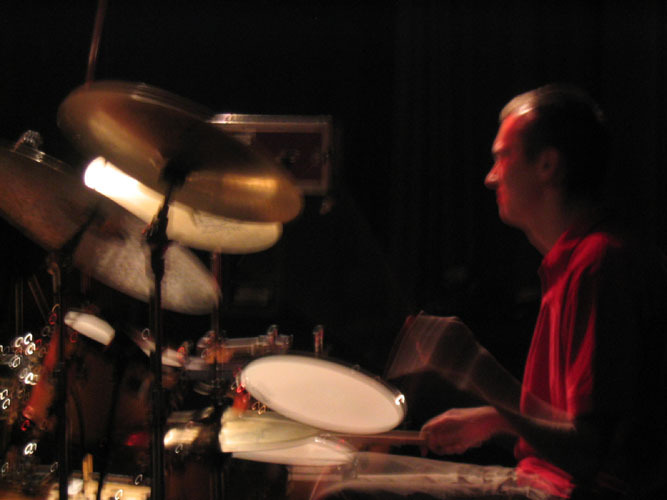 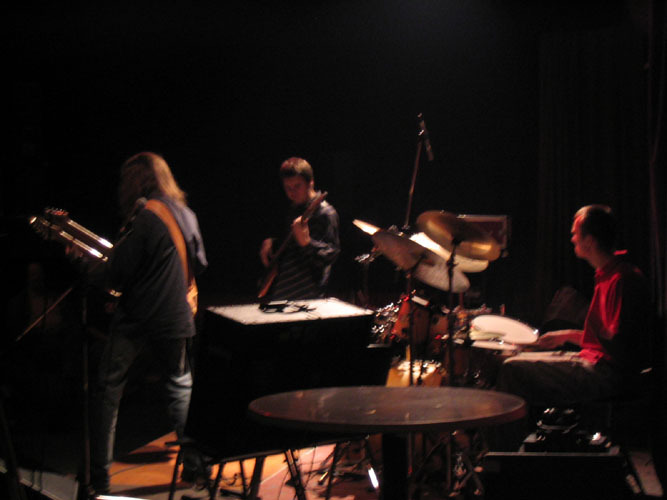 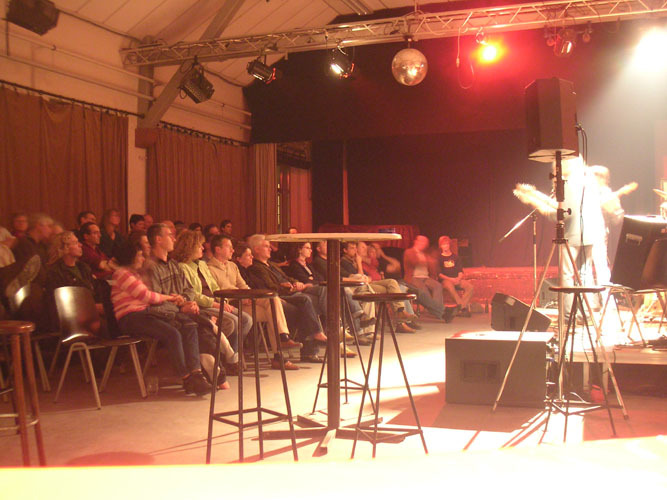 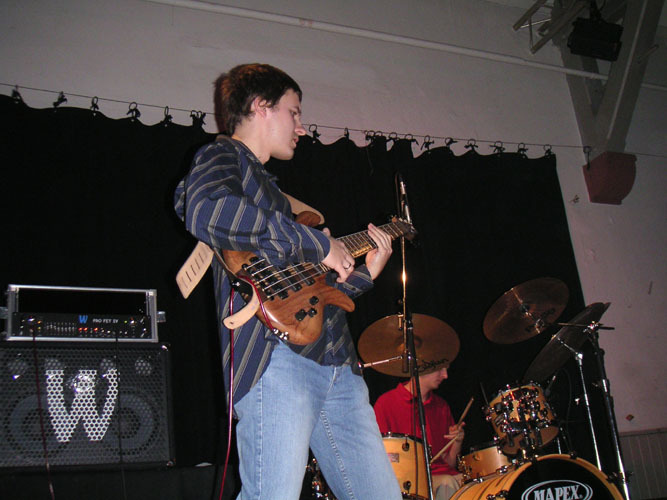 These pictures were made until gig of Fool-X trio in the Knabenschule Kulturzentrum in Darmstadt (Germany) - October 29, 2005. 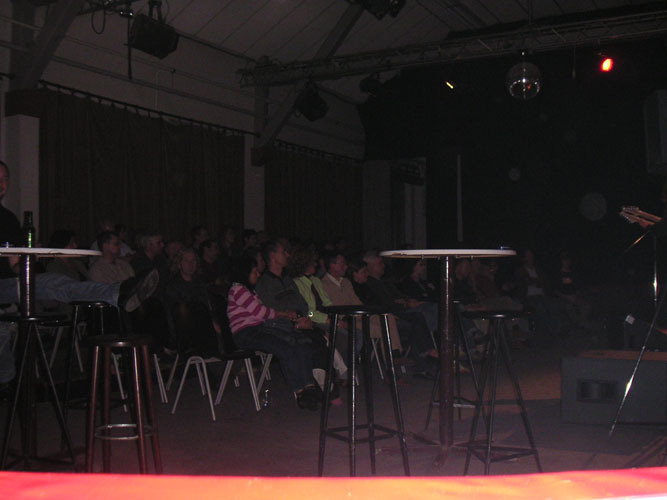 Gig started at 9.oo p.m., there were about 80 listeners (prize: 8 E). 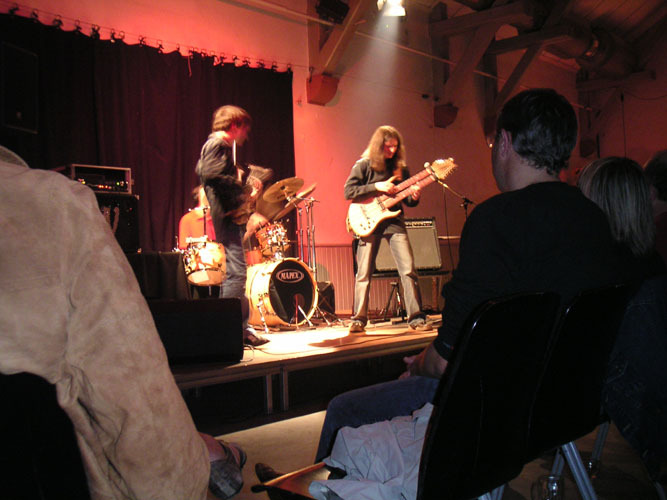 Few hours before the gig there were guitar workshops in the Peperoni Music School. 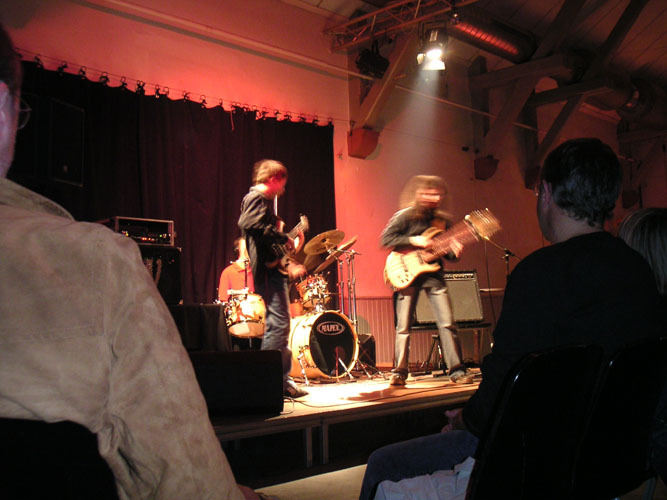 See also gallery from guitar workshops in Darmstadt. 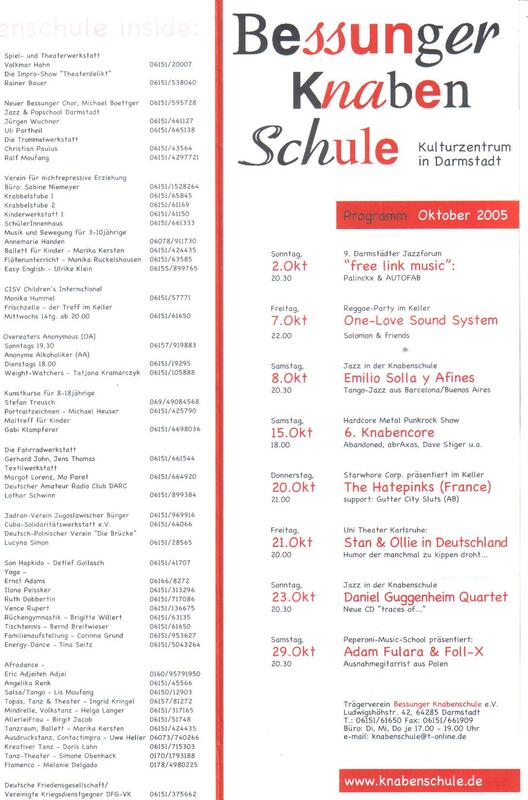 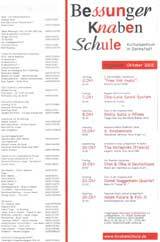 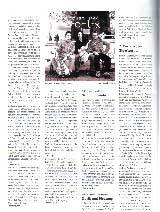 "Gitarrenkunst" - Frankfurter Randshau (October 2005) - national Germany press.